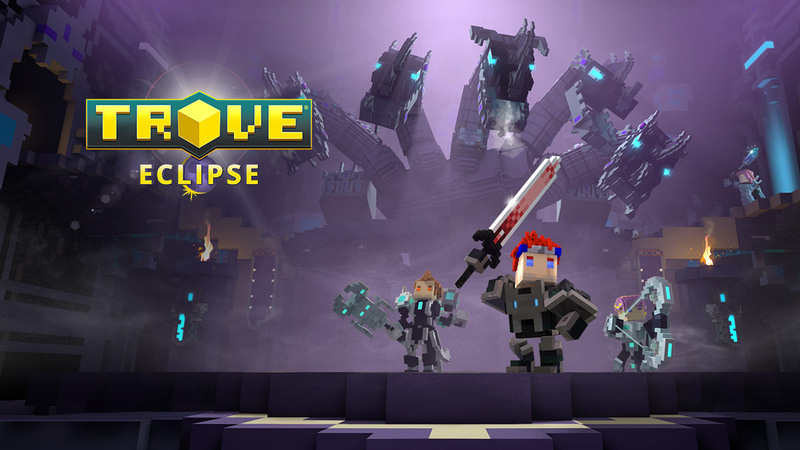 Trove has its own Eclipse now! It's said that there is a total solar eclipse bringing new invasions to the Shadow Tower. When the Shadow Tower rise to new heights, new floors added to the tower: the Shadow Hydrakken and the Darknik Dreadnaught. The Shadow Hydrakken is a massive, five-headed serpent that comes to the Shadow Tower to chew bubblegum and destroy the hopes of all Trovian kind... and he’s all out of bubble gum. The dastardly Darknik Dreadnought is unlike anything you’ve ever faced in Trove. This unfathomably fierce foe will challenge your team like never before. Bring all your cunning, guile, and health pots because this Dreadnought will not go gentle into that good night! Defeat them and the Daughter of the Moon to earn all new rewards, including the coveted Moonsilver costumes. To against the power of shadow, the light reveal new sources of tremendous power to aid in fight. All Trovians level 10 or higher may now designate another unlocked class as their Sub Class. This new Sub Class will grant you a passive skill based on another Trove class. You’ll also receive bonus stats that will increase as you power up in levels and Power Rank. Gem Forging allows the stats on any gem to be modified to better suit your class. Turn every gem into a powerful tool in the fight against darkness! The Hub's portal tower has been replaced with a gilded, glimmering, glorious Sun Goddess Statue. Find the Radiant Merchant, the new Radiant Dayspring vendor for trading in Daily Login tokens, and the gorgeous Trovian Atlas to help you travel through the worlds of Trove. It's time to take gems to the next level—literally—with the new Gem Forging system. Improve the existing stats on your gems by augmenting them closer to perfection; undesirable stats can be rerolled into something more useful, and we can finally say goodbye to Health Regen on gems. Daily Reward Chests have been updated and will now be known as Boons of a Celestial Paragon. These new daily rewards will commonly give Bound Brilliance and drop more Dragon Coins. Are you ready for the Eclipse? Grasp time for the rewards! In addition, Trion World is going to introduce an anti-leeching system, a new way to quickly build iconic trove structures, add a new tutorial, and even a new biome. Stay tuned in the rest of 2017!